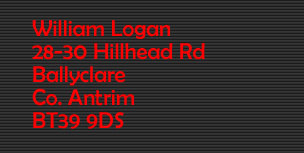 William Logan Cars stock new and high quality carefully selected used cars. William Logan Cars have a selection of Light Commercial Vehicles (under 7.5t) and also a selection of Plant Equipment including Trailers and Machinery. William Logan Cars have a selection of over 300 cherished registrations ready for immediate transfer to give your car a new look. William Logan Cars stock POWERKLICK diesel tuning boxes, a Swiss made digital box for ultimate reliability, and insurance approval diesel tuning.